National Park Guru is a site dedicated to provided information on all US national parks. We provide pictures and videos on each national park so you can enjoy the park, plan ahead for a vacation or trip, or simply revisit the time you were last at one of the NPS parks. Please click on any of the links below to visit your favorite park. The United States is a BIG place, and if you’re looking for a BIG adventure then you’re in the right place. In the United States there are no less than 58 areas which are protected and known as the national parks, and are all operated by the National Park Service. You’ve probably heard of a few of them at least. The first area to become a national park was Yellowstone in 1872, closely followed by Sequoia and Yosemite in 1890. The National Park Service has the job “to conserve the scenery and the natural and historic objects and wildlife therein, and to provide for the enjoyment of the same in such manner and by such means as will leave them unimpaired for the enjoyment of future generations”. People enjoy the National Park system. Here are the ten most visited parks. National Parks in America cover a total area of 210,000 km2, and are spread across 27 different states. The largest is Wrangell – St Elias which covers an area of 32,000 km2, and the smallest is Hot Springs which is less than 24 km2. There are over 51,900,000 acres of national park to enjoy in the United States. What are you waiting for – go and enjoy them! Read our articles on: How to Choose The Best Hiking Boot For Your Feet And Your Money. Below are links to posts for each park that contain images and videos of your favorite national park. Be sure to check out the outdoor gear sale at REI Outlet Sale. 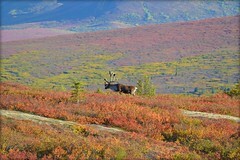 nationalparkguru.com is an informational web site and is not affiliated with the National Park Service.